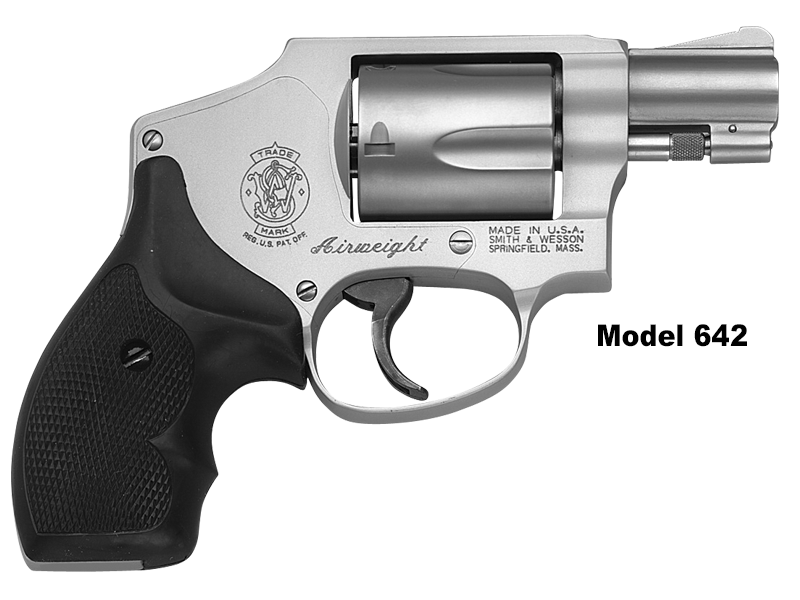 The Smith and Wesson Model 442 and Model 642 are compact “snub nose” revolvers chambered to fire .38 Special+P. They are both lightweight, constructed of an aluminum alloy with a cylinder machined from stainless steel. 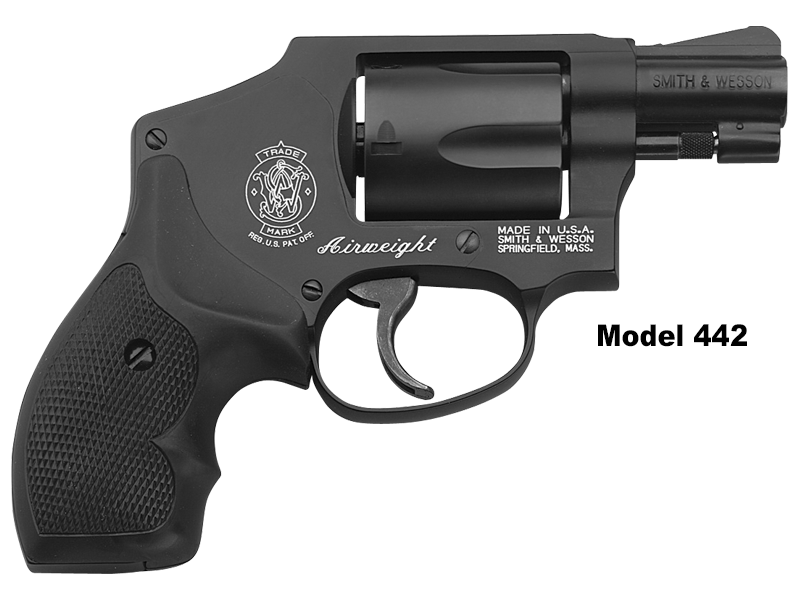 Given the light weight and relatively small size, the S&W Model 442 and Model 642 are popular choices among firearms owners who maintain a concealed carry permit. The synthetic grips make firing the weapon comfortable for shooters with small hands, even when firing the more energetic .38+P ammunition. Crimson Trace manufactures a laser sighting system that is integrated seamlessly into a grip that fits these firearms, making target acquisition easier. Both firearms are designed with few sharp angles or edges. Both the Model 442 and 642 have an internal hammer and fires double-action.